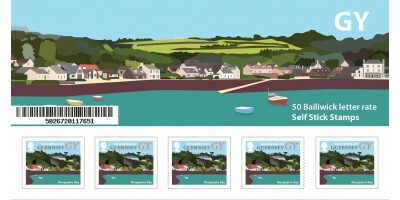 GY (46p) x 5On the GY stamps we see the west coast of the island viewed from Fort Grey slipway around to Rocquaine Bay, panning right all the way back to Fort Grey itself.UK (62p) x 5The UK stamps sho..
A booklet containing 10 stamps with five designs, two of each design.Individual Stamp value 62p.. 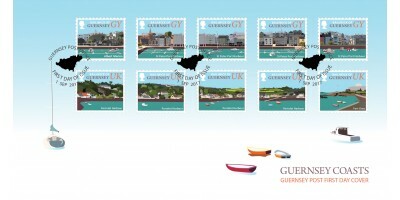 The booklet of 50 self stick stamps contains ten copies of each of the five stamp designs of this value. 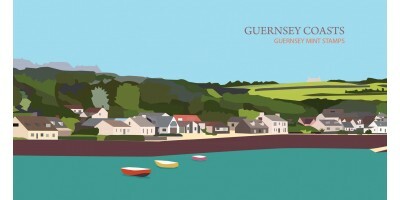 These booklets are very popular with small businesses in Guernsey. 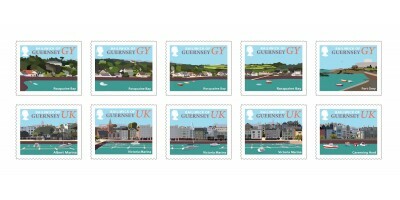 Individual Stamp value .. 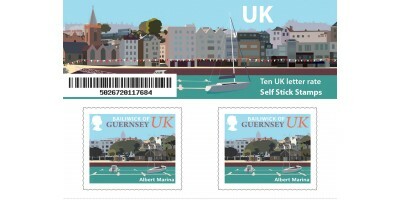 The booklet of 50 self stick stamps contains ten copies of each of the five stamp designs of this value. 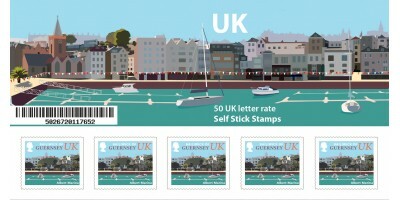 These booklets are very popular with small businesses in Guernsey.Individual Stamp value ..
Our latest issue of self stick stamps are a nod to the heady hey days of island tourism. The images on each set features a panoramic scene, which have been treated in such a way, that they perhaps remind us of the fashionable posters of the era. 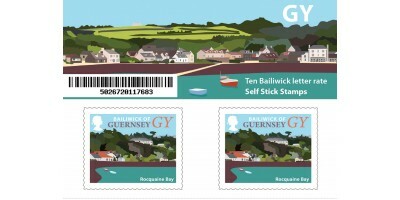 We have five GY rate stamps for letters and postcards posted in the Bailiwick and also five UK stamps for letters and postcards sent to the UK, Jersey or Isle of Man and each shows an artist's impression of Guernsey's spectacular coastline.